Bürkert UK is evolving into a process valve partner with a £1m expansion of its ex-stock product range. Aiming to minimise the complexity of process control projects in a number of industries, it has massively increased its product range and UK stock-holding for standard everyday process products. Bürkert now holds a wide variety of the more common valve designs including ball valves, butterfly valves and quarter-turn valves in standard sizes on the shelf. This increase in the product line represents a considerable investment in stock-holding, with over £1 million worth of stock now held in the UK. "Bürkert offers over 100,000 catalogue items from commodity solenoid valves to high-precision food and pharmaceutical grade products. 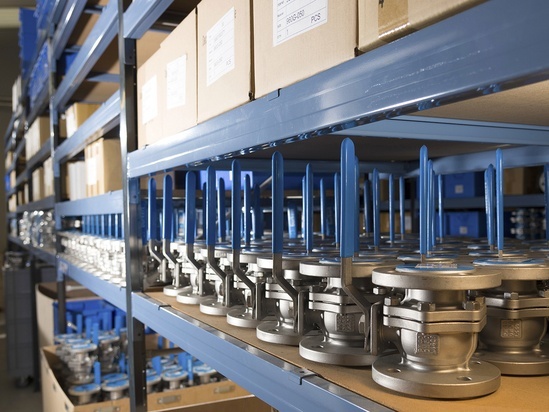 However while lots of problem solving items we are famous for are made to order, there are also standard valves required for almost any project. They don’t have exotic specifications and tend to be sourced when they are needed. If customers can have a Bürkert model, available straight away, then the quality and the brand reputation that goes with that is an added bonus for them.” Neil Saunders Bürkert UK General Manager. Cost pressures are everywhere, so conformity of fit and compatibility can make a big difference in ensuring a process automation project is commercially successful. Hence, all new products complement the existing range of more specialist valves and are designed to work in harmony with Bürkert’s numerous pneumatic and electric actuators and control heads. Every product is quality audited and built to the highest standards with full traceability of materials and certifications provided on request. This reduces costs for project teams and greatly simplifies the purchasing process by involving much fewer vendors and cutting the number of purchase orders that need to be raised. Other savings can also be made thanks to Bürkert’s knowledge and expertise being applied to a much greater part of the installation. By increasing the range of products available, Bürkert UK is better placed as a project partner, offering high-quality products, vast design expertise and customised logistics for improved project efficiency. 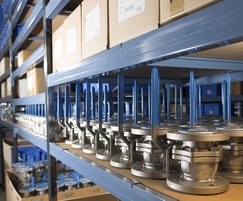 With larger scale projects involving hundreds of valves, potentially from numerous suppliers, maintaining an effective logistics process can be difficult. As an integral supply partner to a project, Bürkert can implement a customised logistics process that packages together all the components for a specific area of the installation. Bürkert aims to help customers with the design, procurement and installation of new and replacement equipment, as well as support its distribution partners with better access to a wider range of product. It can now provide immediate delivery on a wide range of common products as well as sourcing more complex, application specific components within a short timeframe.